On Being with Krista Tippett | Listen Free on Castbox. The late Wangari Maathai was a biologist, environmentalist, and the first African woman to win a Nobel Peace Prize. She was born under British colonial occupation and schooled by Catholic missionaries. But when she looked back on her childhood near the end of her life, she realized her family’s Kikuyu culture had imparted her with an intuitive sense of environmental balance. Maathai was steadfast in her determination to fight for the twin issues of conservation and human rights — and planting trees was a symbol of defiance.Wangari Maathai founded the global Green Belt Movement, which has contributed today to the planting of over 52 million trees. She was the 2004 recipient of the Nobel Peace Prize. Her books include the memoir “Unbowed” and “Replenishing the Earth: Spiritual Values for Healing Ourselves and the World.” She’s also one of the 100 heroic women featured in the book “Good Night Stories for Rebel Girls.” She died in 2011 at the age of 71.Find the transcript for this show at onbeing.org. The late Wangari Maathai was a biologist, environmentalist, and the first African woman to win a Nobel Peace Prize. She was born under British colonial occupation and schooled by Catholic missionaries. But when she looked back on her childhood near the end of her life, she realized her family’s Kikuyu culture had imparted her with an intuitive sense of environmental balance. Maathai was steadfast in her determination to fight for the twin issues of conservation and human rights — and planting trees was a symbol of defiance.Wangari Maathai founded the global Green Belt Movement, which has contributed today to the planting of over 52 million trees. She was the 2004 recipient of the Nobel Peace Prize. Her books include the memoir “Unbowed” and “Replenishing the Earth: Spiritual Values for Healing Ourselves and the World.” She’s also one of the 100 heroic women featured in the book “Good Night Stories for Rebel Girls.” She died in 2011 at the age of 71.This interview is edited and produced with music and other features in the On Being episode “Wangari Maathai — Marching with Trees.” Find more at onbeing.org. Pádraig Ó Tuama is a poet, theologian, and extraordinary healer in our world of fracture. He leads the Corrymeela community of Northern Ireland, a place that has offered refuge since the violent division that defined that country until the 1998 Good Friday Agreement. Ó Tuama and Corrymeela extend a quiet, generative, and joyful force far beyond their northern coast to people around the world. Over cups of tea and the experience of bringing people together, he says it becomes possible to talk with each other and be in the same room with the people we talk about.Pádraig Ó Tuama is the community leader of Corrymeela, Northern Ireland’s oldest peace and reconciliation organization. He finishes his five-year term in 2019. His books include a prayer book, “Daily Prayer with the Corrymeela Community,” a book of poetry, “Sorry for Your Troubles,” and a memoir, “In the Shelter: Finding a Home in the World.”Find the transcript for this show at onbeing.org. Pádraig Ó Tuama is a poet, theologian, and extraordinary healer in our world of fracture. He leads the Corrymeela community of Northern Ireland, a place that has offered refuge since the violent division that defined that country until the 1998 Good Friday Agreement. Ó Tuama and Corrymeela extend a quiet, generative, and joyful force far beyond their northern coast to people around the world. Over cups of tea and the experience of bringing people together, he says it becomes possible to talk with each other and be in the same room with the people we talk about.Pádraig Ó Tuama is the community leader of Corrymeela, Northern Ireland’s oldest peace and reconciliation organization. He finishes his five-year term in 2019. His books include a prayer book, “Daily Prayer with the Corrymeela Community,” a book of poetry, “Sorry for Your Troubles,” and a memoir, “In the Shelter: Finding a Home in the World.”This interview is edited and produced with music and other features in the On Being episode “Pádraig Ó Tuama — Belonging Creates and Undoes Us.” Find more at onbeing.org. A prolific writer on sociology, history, economics, and politics, W.E.B. Du Bois was one of the most extraordinary minds of American and global history. His life traced an incredible arc; he was born three years after the end of the Civil War and died on the eve of the March on Washington. In 1903, he penned the famous line that “the problem of the 20th century is the problem of the color line.” Du Bois was a formative voice for many of the people who gave us the Civil Rights Movement and for all of us navigating the still-unfolding, unfinished business of civil rights now. We bring his life and ideas into relief through three conversations with people who were inspired by him.Maya Angelou was a poet, educator, and activist. She was awarded the Presidential Medal of Arts in 2000 and the Presidential Medal of Freedom in 2011. She is most well-known for her series of seven autobiographies, including “I Know Why the Caged Bird Sings.”Elizabeth Alexander is a chancellor of the Academy of American Poets and president of The Andrew W. Mellon Foundation. Her books include “Crave Radiance” and her memoir, “The Light of the World.”Arnold Rampersad is emeritus professor of English at Stanford University and author of “The Art and Imagination of W.E.B. Du Bois.” He was awarded the National Humanities Medal in 2010.Find the transcript for this show at onbeing.org. A prolific writer on sociology, history, economics, and politics, W.E.B. Du Bois was one of the most extraordinary minds of American and global history. His life traced an incredible arc; he was born three years after the end of the Civil War and died on the eve of the March on Washington. In 1903, he penned the famous line that “the problem of the 20th century is the problem of the color line.” Du Bois was a formative voice for many of the people who gave us the Civil Rights Movement and for all of us navigating the still-unfolding, unfinished business of civil rights now. We bring his life and ideas into relief through three conversations with people who were inspired by him.Maya Angelou was a poet, educator, and activist. She was awarded the Presidential Medal of Arts in 2000 and the Presidential Medal of Freedom in 2011. She is most well-known for her series of seven autobiographies, including “I Know Why the Caged Bird Sings.”This interview is edited and produced with music and other features in the On Being episode “Maya Angelou, Elizabeth Alexander, and Arnold Rampersad — W.E.B. Du Bois and the American Soul.” Find more at onbeing.org. A prolific writer on sociology, history, economics, and politics, W.E.B. Du Bois was one of the most extraordinary minds of American and global history. His life traced an incredible arc; he was born three years after the end of the Civil War and died on the eve of the March on Washington. In 1903, he penned the famous line that “the problem of the 20th century is the problem of the color line.” Du Bois was a formative voice for many of the people who gave us the Civil Rights Movement and for all of us navigating the still-unfolding, unfinished business of civil rights now. We bring his life and ideas into relief through three conversations with people who were inspired by him.Elizabeth Alexander is a chancellor of the Academy of American Poets and president of The Andrew W. Mellon Foundation. Her books include “Crave Radiance” and her memoir, “The Light of the World.”This interview is edited and produced with music and other features in the On Being episode “Maya Angelou, Elizabeth Alexander, and Arnold Rampersad — W.E.B. Du Bois and the American Soul.” Find more at onbeing.org. A prolific writer on sociology, history, economics, and politics, W.E.B. Du Bois was one of the most extraordinary minds of American and global history. His life traced an incredible arc; he was born three years after the end of the Civil War and died on the eve of the March on Washington. In 1903, he penned the famous line that “the problem of the 20th century is the problem of the color line.” Du Bois was a formative voice for many of the people who gave us the Civil Rights Movement and for all of us navigating the still-unfolding, unfinished business of civil rights now. We bring his life and ideas into relief through three conversations with people who were inspired by him.Arnold Rampersad is emeritus professor of English at Stanford University and author of “The Art and Imagination of W.E.B. Du Bois.” He was awarded the National Humanities Medal in 2010.This interview is edited and produced with music and other features in the On Being episode “Maya Angelou, Elizabeth Alexander, and Arnold Rampersad — W.E.B. Du Bois and the American Soul.” Find more at onbeing.org. 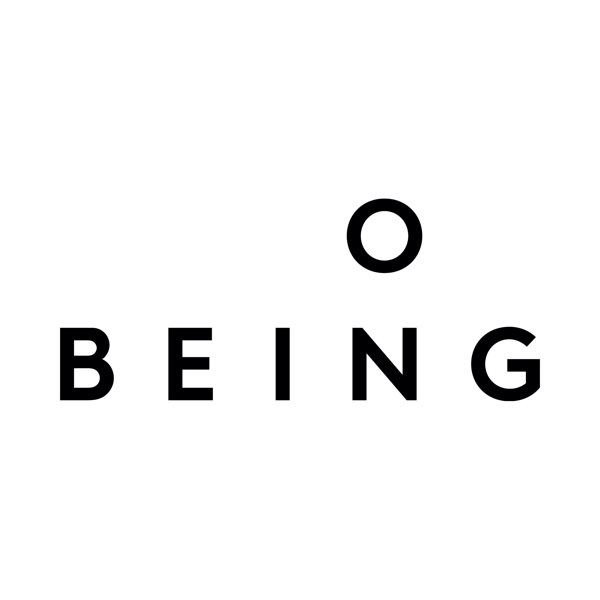 Over the years, listeners have asked for shorter-form distillations of On Being — something to listen to while making a cup of tea. Becoming Wise is this offering, designed to help you reset your day and replenish your sense of yourself and the world, ten minutes at a time. A taste of the second season, which launched this week, curated from hundreds of big conversations Krista has had with wise and graceful lives — including Archbishop Desmond Tutu, astronomer Natalie Batalha, and spiritual teacher Eckhart Tolle.To receive an episode every Monday morning, subscribe at onbeing.org or wherever podcasts are found. what an interesting and tricky interview. So much 'gold' in this conversation. Stay curious... 90% of the best stuff is boring! Gold! Rediscovered this program this week and have the feeling of having found lost treasure. Booker episode was a great way to start today. What an insightful man. Also so grateful for how deftly and gently you ask questions—good questions feel hard to find. Won't be forgetting about this show again. Thank you for this "shot in the arm"of hope from Cory Booker. He is easy to love. Onward now to love those that are much harder to love. This is the first "On Being" I've listened to and while it was good, it's also probably the last. It's unnecessary and irritating to repeatedly remind the listener what they're listening to, who hosts it, who the guest is, what they've done, what the conversation is about and where it was recorded. Surely once is enough? Sean Down It's a radio show. That happens any time they would have come back from a commercial break. Krista Tippett has become, for me, a valued friend as she invites me to overhear others sharing their stories, their journeys of faith. She presents, in our most polarized reporting and world, a deeply touching panoply of people, perspectives, and experiences that have enriched me, while at the same time not ducking the tough questions, but rather framing them sensitively, invitingly, respectfully, and from a wide awareness and curiosity about the lives of others. A rare gem – both the person and the program. If you are looking for dogma, this is not the place. If you are looking for meaning and mindfulness on your spiritual journey, this is the place. Segments generally explore where faith is found in a host of settings, institutions, individuals. Very well produced. Excellent website and weekly e-mail compliment the podcast. I can't rave about this enough. I have become SoF and Krista Tippett evangelist, steering as many as I can to this podcast. In some ways, I'm glad my local NPR stations don't carry this as I would probably have to arrange my schedule to listen each week. However, I really appreciate the podcast because it becomes a thought-provoking and, often, contemplative, personal time with Ms. Tippett and her interviewees. I have frequently gotten the most out of the interviews that I initially avoided because of the topic. I am amazed at Krista's ability to understand the most complex theological and ethical issues and present them in a way that has so often resonated within me deeply. Thank you!